Likud Anglos marked the 72nd yahrzeit (anniversary of death) of Ze'ev Jabotinsky, a founder of Israel and the Revisionist-Zionist movement which became the Likud, in various ways. On Wednesday, July 18, the day before the anniversary, Likud Anglos brought a delegation of young activists to the Knesset. The group met with MKs Tzipi Hotovely, Ofir Akunis and Ze'ev Elkin and heard presentations from Seth Frantzman, an editor at the Jerusalem Post and Daniel Tauber, Likud Anglos executive-director. Likud Anglos' activist Emily Schrader wrote an account of the conference which was published in The Times of Israel. 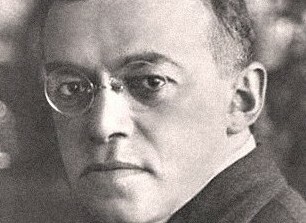 The same day The Jerusalem Post published Tauber's oped, "Jabotinsky's Place in History," which was called one of the best essays on Jabotinsky in many years. The op-ed discussed the danger of suppressing the history of the Jabotinsky movement and the true history of the Zionist movement and denying Jewish youth Jabotinsky's inspiring vision. (Read the article). Americans for a Safe Israel in NYC. On Wednesday night, July 25th, Tauber spoke in New York City at the annual memorial for Jabotinsky organized by Americans for a Safe Israel (AFSI) on the topic of Jabotinsky's message "learn to laugh." The Likud published an account on its homepage as did the Likudnik website. Arutz Sheva also mentioned Tauber's speech, but focused on the speech of another participant. AFSI also published an account on their website. (Read more in English on the Likud Anglos website). Tauber also sent an e-mail out to Likud Anglos' members discussing the important of Jabotinsky's legacy, and the important of following in Jabotinsky's path. "Throughout his life, Jabotinsky understood that political success takes time and even failures are steps on the road to victory. His enduring impact is proof of that," Tauber wrote. He said that Likud Anglos was committed "to preserving Jabotinsky's ideals for the Likud and for Israel."